Many may remember the sad story of the Christian bakery who was shut down by a horrible Democrat. Well today, he gets his just desserts. No one should be forced into making anything or doing anything against their beliefs! 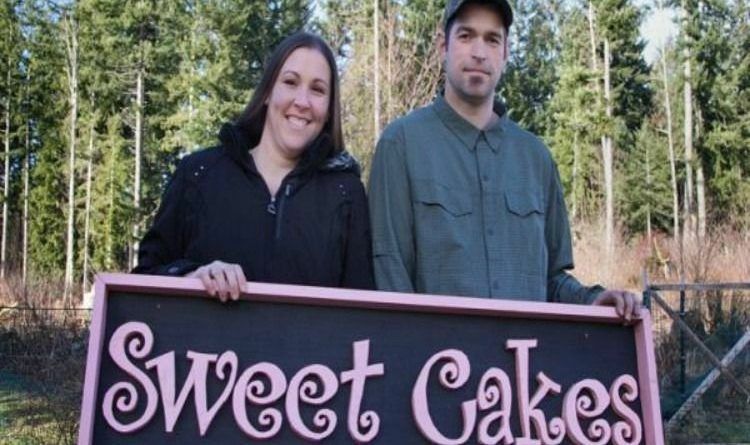 Sadly, Christian bakers Aaron and Melissa Klein from Oregon were shut down because they refused to furnish a wedding cake for two lesbians on the grounds that doing so would violate the owners’ Christian beliefs. Well, you know what they say karma is a b**tch! The Oregon public official responsible for shutting down a Christian-owned bakery that refused to cater a gay wedding lost in his bid to become Oregon secretary of state. Brad Avakian has served as commissioner of the Oregon Bureau of Labor and Industries since 2008. In that role, he achieved national notoriety for investigating Sweet Cakes by Melissa, a bakery that refused to furnish a wedding cake for two lesbians on the grounds that doing so would violate the owners’ Christian beliefs. In 2015, Avakian levied a $135,000 fine on the store’s owners, Aaron and Melissa Klein, declaring that their refusal to produce the cake wasn’t protected by the First Amendment and instead was simply illegal discrimination. In October, the bakery shut down entirely. While the Kleins’ business was going downhill, Avakian turned his sights to higher office. In last week’s general election, he ran for Oregon secretary of state. But in an upset, Dennis Richardson, a former state representative and gubernatorial candidate, trounced Avakian. Richardson will become the first Republican to win an Oregon statewide office in 14 years, and the first Republican secretary of state since 1985. Notably, Richardson triumphed despite being an outspoken social conservative in a state known for its liberality. Richardson pitched himself as a nonpartisan figure who would focus on the job’s traditional roles off monitoring elections and auditing public spending. Avakian, on the other hand, vowed to turn the office into a vehicle for progressive politics, saying he would use the post to fight climate change, promote abortion rights, investigate private companies, and champion certain candidates and political causes (despite the office’s electoral monitoring role). Avakian’s ambition alienated many, and despite traditionally endorsing Democrats, several newspapers in the state backed Richardson. The defeat doesn’t mean Avakian is out of the public sphere, though. He remains Oregon’s labor commissioner for the next two years. This man definitely should lose his place in political office the Democrats have no values and they shut down a bakery just because they were Christians hopefully they get their business back!